It's finally totally, completely, without a doubt, done! Scrapitude done and on my bed! And finally, the lovely border fabric that pulled it all together. 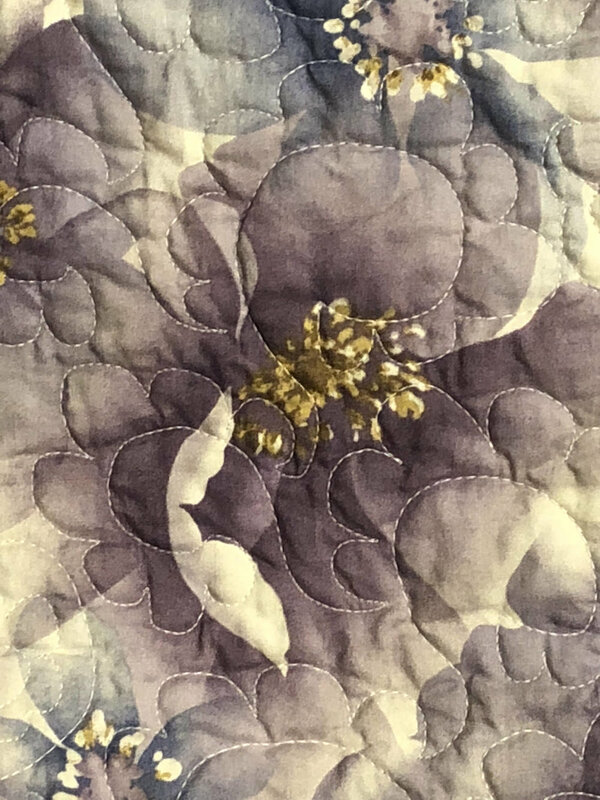 I think I already talked about finding this fabric in a previous blog post--it wasn't what I went looking for, but it just made the quilt sing! 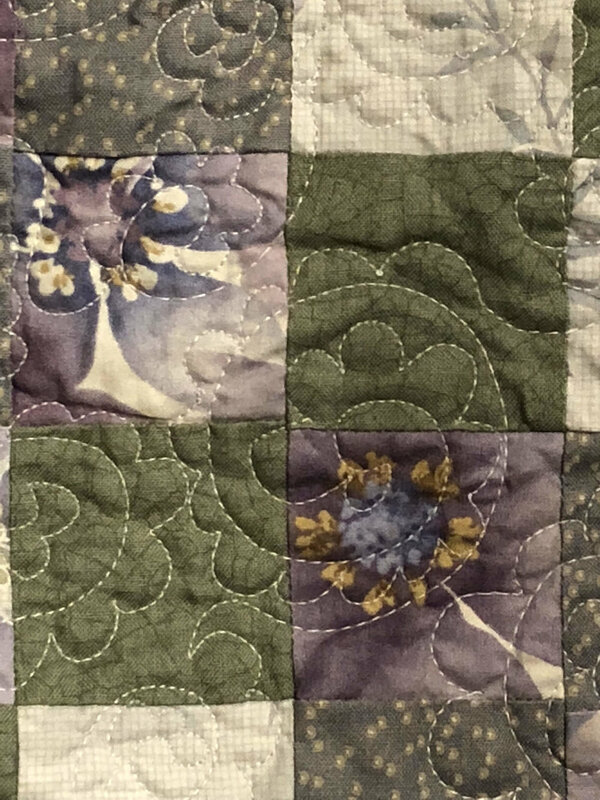 The motif speaks well to the shape of the star in the blocks, and it echoes many of the more prominent colors in the quilt. Love it. Because of the motif, my borders are something like 9" wide. 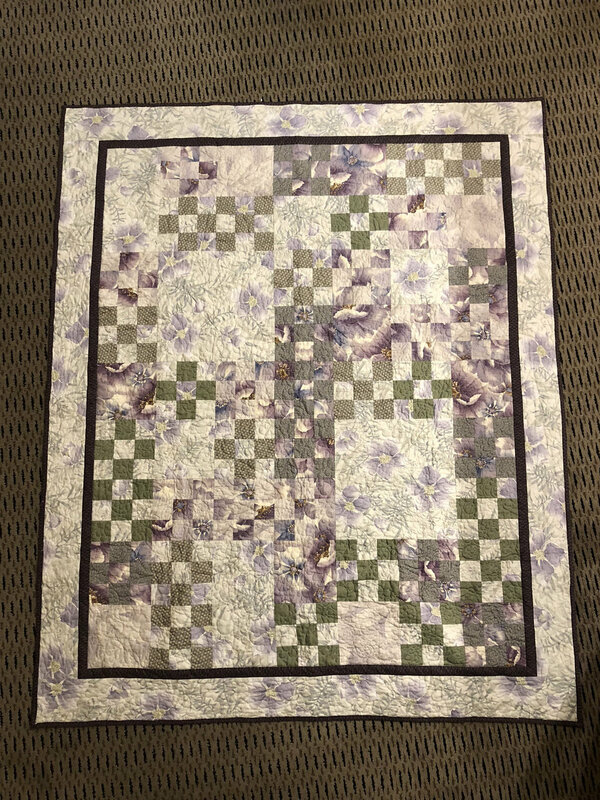 So the entire quilt came out to around 96" square--which was, as it turned out, just the size I needed to drape over our tall mattresses and reach to the top of the box spring with it's dust ruffle. I've never had a blanket or bed covering that did that on this bed. Woo! I hadn't planned that specifically when I chose the border, but boy, was it a nice outcome! 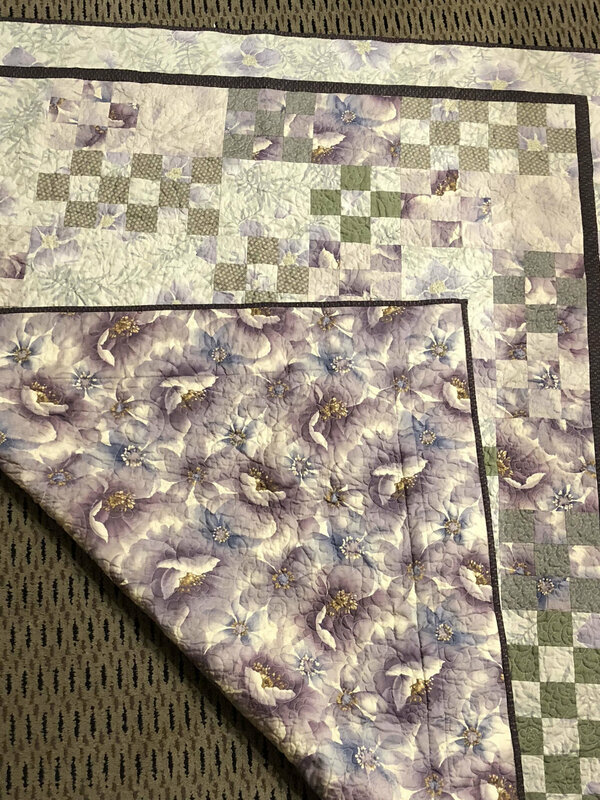 Because this quilt is so large, and because the border fabric is an Australian aboriginal fabric design (Stella Black by designer Cathy Turner), I pulled in my Head Australian Quilting Consultant, @ozzypip, and asked her for any Australian slang terms that meant "stinking huge." (Okay, I may not have included the word "stinking" in my query, but it was definitely in my head!) Philippa consulted with some of her compatriots and sent me a list of possibilities. Although she warned me that "Bonza" is older slang, I decided it was the one that worked best in this case. Hence, "ScrapiBonzaTude" was born!